All devices are fully functional checked by our electronic engineers. We noticed that we have slowly become a ‘throw away culture’ meaning that when someone wants to upgrade to a new phone, they just put the old one into a drawer and forget about it. As the quality of devices produced is so good these days when people upgrade to a new phone or laptop a lot of time the old device is still usable for next 3+ years. 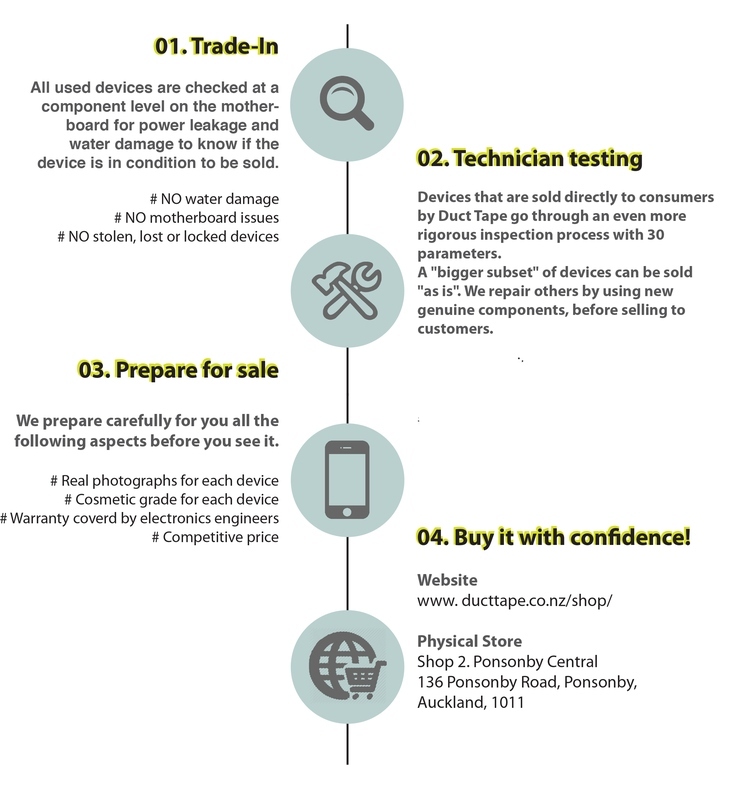 We also guarantee all of our devices standard for 3 months meaning that if you have any warranty issues whatsoever you can pop back into the store and the repair will be started that day for you! "Fixing devices with express, care and quality". Our passion is electronics and Duct Tape Workshop is about more than just repairing phones and computers. We're set our focus on building a perfectly executed and above all enjoyable customer experience.